*Call for Special Member Pricing. 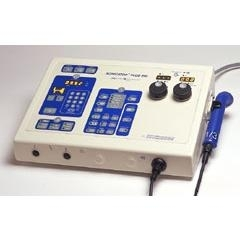 CalThe Sonicator Plus 992 is a microprocessor-controlled 2-channel unit that has 1 and 3 MHz ultrasound with 6 different treatment waveforms. With this physical therapy equipment you have the capability of setting up multiple treatments at the same time. Set up to 3 different treatments simultaneously using a different timer for each treatment. 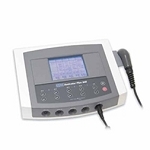 This ultrasound machine/muscle stimulator is easy to use. A dual frequency 5cm2 applicator comes with this combo unit, and additional applicators can be purchased as needed. 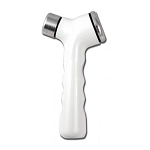 This is a great addition to any physical therapy equipment stock.